We report the effect of functionalization on single-walled carbon nanotubes (SWCNTs) by a very mild oxidant hydrogen peroxide (H2O2) compared to H2SO4, HCL, HNO3. We made a comparative study by dispersing nanotubes in H2O2 first for 22 h and then for 44 h. From different characterization techniques, we observed that the increased time of functionalization has a very minute effect on the functional properties of treated nanotubes contrast to pristine nanotubes. The increased time show an overlapping response indicating that H2O2 alone is not sufficient enough for efficient doping of carbon nanotubes. Our study revealed all the drawbacks of functionalizing the nanotubes alone with H2O2. 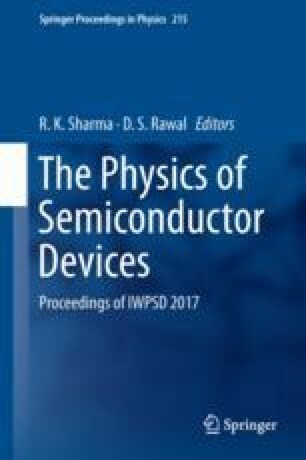 The authors (Deepika Jamwal and Rakesh Vaid) extend their sincere thanks to CEN, IIT Bombay under INUP program sponsored by DIT, MCIT, Government of India for providing carbon nanotubes and to Prof. B. R. Mehta, department of physics, IIT Delhi for providing the facilities for characterization of nanotubes.